I have a weird hobby. Periodically, I’ll get obsessed with an author. I’ll read a bunch of his or her works. I’ll read stories about the author’s life. I’ll decide I want to understand how this author does certain things stylistically. 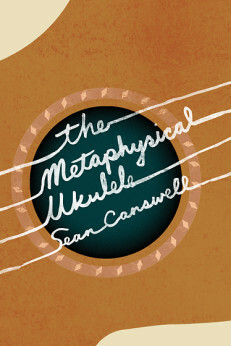 To figure this out, I’ll give said author a metaphysical ukulele, then make him or her the protagonist of a short story. The story is typically rooted in fact, but the ukulele makes sure it never stays that way. Over the past few years, I’ve written a dozen short stories about my favorite authors and their metaphysical ukuleles. These stories have been published in literary journals and anthologized in places like the California Prose Directory. Last spring, I put the stories together into a collection and sent it out to a handful of publishers I really admire. Ig Publishing was the first to get back to me. They offered to publish this book. Now, the galleys are printed. The book is out for review (if you’re a reviewer and want an advance copy, contact robert[at]igpub.com). It’s available for pre-order online. It’s scheduled to be released on May 10. I’m pretty excited about it. If you can’t wait to read it, you can listen to a teaser here. It’s me playing a little uke and reading the first story in the collection. This entry was posted in Short Stories, The Metaphysical Ukulele, Ukulele and tagged Herman Melville, Short Stories, Ukulele. Bookmark the permalink.